CelPhNum: 091 9440702314 ======================= Number Of Ph.D.s Awarded Under Personal Supervision: 5 (FIVE) =================================================== (Format: Candidate Name, PhD Thesis Title, Year of Award) * Jami Lakshmi Prasanna, "A Theory of L-Interval Valued Fuzzy Sets and Fuzzy Maps Between Different L-Interval Valued Fuzzy Sets", 2012. * Gopal Vasanthi, "A Theory of L-Vague or Intuitionistic L-Fuzzy Sets and Correspondence and Isomorphism Theorems", 2012. * Pusuluri V.N.H. Ravi, "L-Fuzzy (Binary) Relations, Equivalences and Partitions and Their Representations", 2012. * Peruru G. Prasad, "A Study of L-Fuzzy Relational Algebras", 2008. * Vaddiparthi Yogeswara, "A Study of Fuzzy Partial Algebras", 1998. Number of M.Phil.s Awarded Under Personal Supervision: 8. =============================================== * A. Matyaraju, "An Elementary Study of f-Subgroups", 2010. * G. Bhavani, "An Study of Fuzzy Hemirings", 2009. * Y.N. Sridhar, "A Study of Fuzzy Subgroups", 2008. * K.M. Krishna, "A Study of Fuzzy Lattices", 2008. * T. Rajarani, "An Elementary Study of Smooth Fuzzy Topological Spaces", 2004. * A. Ramarao, "An Elementary Study Fuzzy Subgroups", 2000. * P.G. Prasad, "L-Fuzzy Spectrum", 1999. * G. Damodarreddy, "A Study of Fuzzy Integrals", 1996. Editorial/Referee Services: ===================== 1. 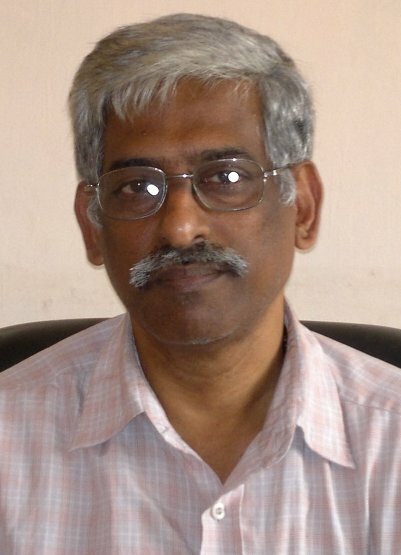 Member of the Editorial Board for "Journal of Progressive Research in Mathematics (JPRM)" URL: http://scitecresearch.com/journals/index.php/jprm/about/editorialTeam 2. Member of the Editorial Board for "The International Journal of Science and Engineering Applications (IJSEA)" URL: http://www.ijsea.com 3. Member of the Editorial Board for the Computer Science and Technology Division of ACCST Research Journal, Nirala Nagar, SIWAN-841226, Bihar State, INDIA. 4. Member of the Editorial Board for Reflections des ERA-Journal of Mathematical Sciences, 9 Sona Enclave, Modhinagar, DELHI-201204, U.P. State, INDIA. 5. Acts as Referee for the international journal of Mathematics, Fuzzy Sets and Systems from Amsterdam, Holland. A C H I E V E M E N T S ================= (In My Own Little Way) 1. Developed f-Set Theory generalizing L-fuzzy set Theory of Goguen which generalized the [0,1]-fuzzy set theory of Zadeh, the Father of Fuzzy Set Theory. 2. Imposed and studied algebraic / topological structures on f-sets. 3. Proved Representation Theorems for (a) f-Algebraic and f-Topological objects in general and (b) Various other types of Fuzzy Sets as well.